IVF patients – like many specialized communities – have our fair share of superstitions and traditions! While some of them are based in science or folklore, some seem to be pretty random. 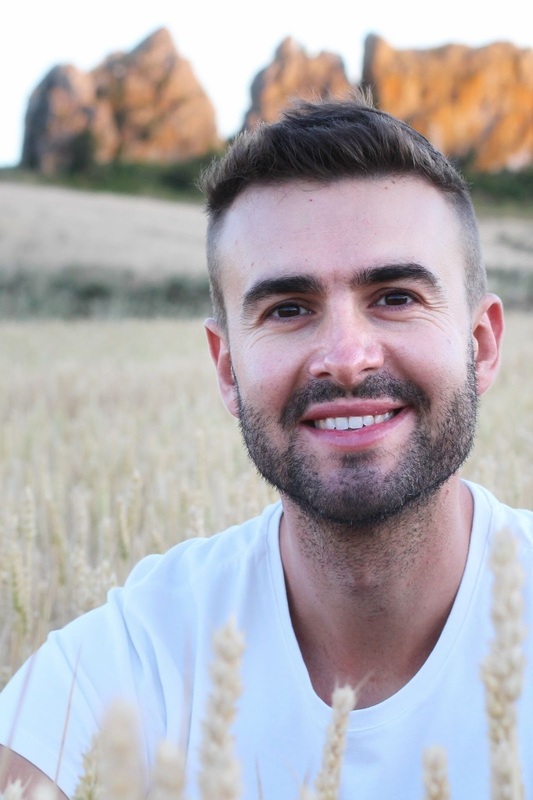 Some patients take them more seriously than others, but I think most of us know of at least a few and have at least given some thought to whether or how we will integrate these superstitious practices into our treatments. However, when you do IVF abroad, some of these require a bit of advanced planning, and some need to be adapted to the locale of your clinic. 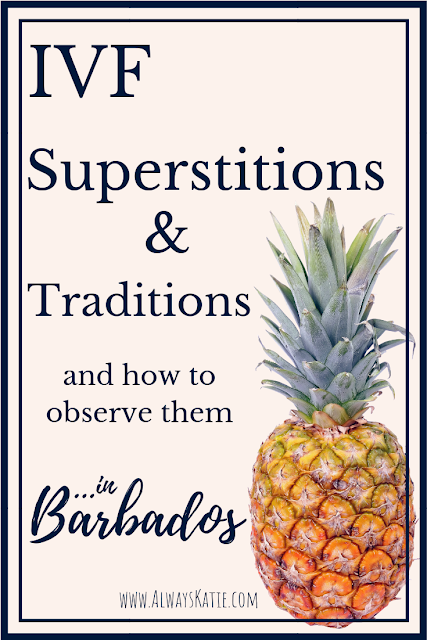 For patients at Barbados Fertility Centre, here are a few common IVF superstitions and how they can be adapted or accomplished in Barbados. Pineapple is probably the most famous IVF superstition. The fruit has become a symbol for the community, to the point that when I see someone wearing a pineapple on their clothing, I wonder if they’re a TTC sister or if they just like pineapples :-) Specifically, the IVF tradition involving pineapple is to buy a fresh pineapple, cut it into five equal slices, and then eat one slice every day (including the core!) starting on the day of embryo transfer. This is based on the fact that pineapple contains an enzyme called bromelain, which can aid in implantation. While the amount of bromelain in pineapple is probably not enough to make or break a cycle, it can’t hurt! (Unless you’re allergic to pineapple… in which case I suppose it could hurt quite a bit.) This is an easy one to follow in Barbados! Pineapples can be found relatively easily at grocery stores or even roadside produce stands. As long as your lodging has a refrigerator where you can store slices for a few days, you’re golden. If you’re flying home before those five days are up, just eat what you can in Barbados and then buy a new pineapple at home. Supposedly, keeping your uterus warm helps embryos implant, and for some reason, keeping your feet warm is supposed to keep your uterus nice and cozy toasty. 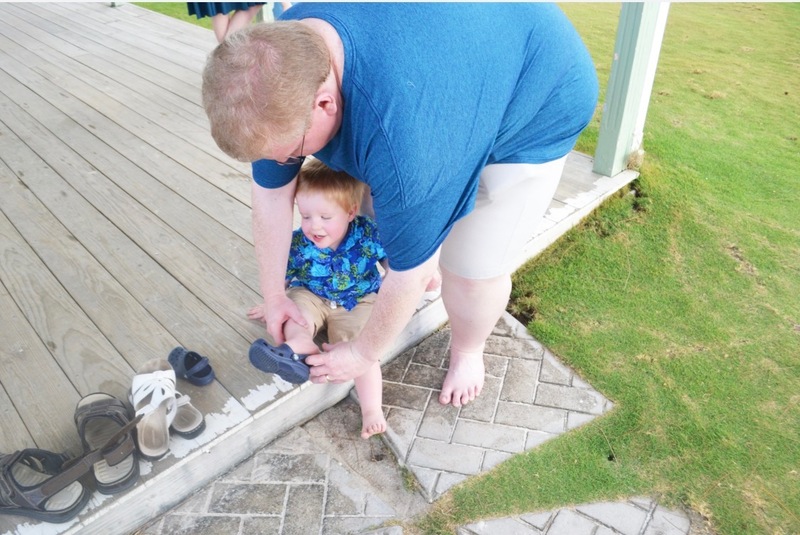 Keeping your feet warm in tropical Barbados is not difficult! Make sure to pack a couple of pairs of fun, fuzzy socks or slippers, just in case the air conditioning in your hotel is TOO awesome. Probably an extension of “warm feet, warm uterus,” the tradition of wearing lucky socks is a fun one! Wearing good luck charms to procedures – especially retrieval and transfer – definitely helps boost morale, and a positive mind can only help the IVF outcome. If you have good luck charms, consider packing them. Balance that desire, though, with how devastated you would be if the charm was lost in transit. 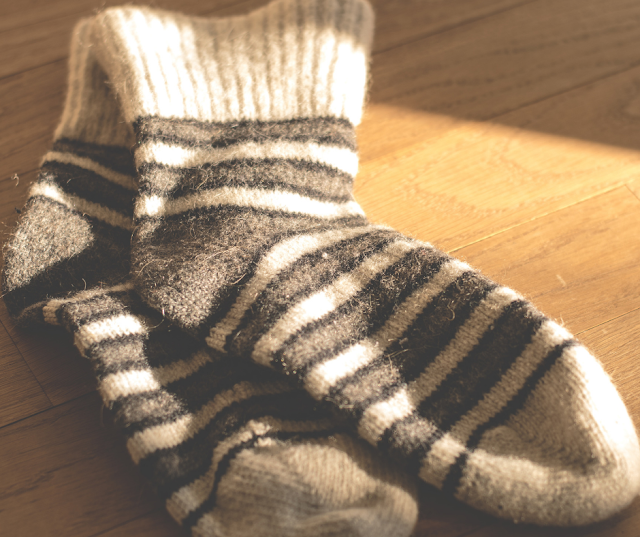 Socks are small and easy to tuck in a carry-on, so you can keep them close at hand. Again, good luck charms keep your spirits up! Lots of people order special shirts or have them designed for their retrieval and/or transfer days. Here are a few of my favorites from Etsy, or if you need something more quickly, here are some of my favorites on Amazon! If you want something custom-made, join the sneak-peek group for my upcoming Etsy shop and I’d be honored and delighted to help you design the perfect shirts for your big days! Turtles - especially sea turtles - are a symbol of fertility because of their massive clutches of hatchlings. Barbados is one of the best places you can be if you want to see sea turtles in person! You can snorkel with them from many of the beaches. All beaches in Barbados are public, so if you have a snorkel and mask, you're free to dive on in. There are several catamaran cruises you can take to see sea turtles. Some are glass bottom boats, so if being *in* water isn't your thing, you can still see turtles if they swim under the boat. Look into Cool Runnings and Shasa... I've never been on a catamaran cruise, but I've heard good things about both of these companies. Read reviews, though, because different companies have different atmospheres, so make sure the one you choose is your style. There are boozy party cruises, athletic adventure cruises, family-friendly cruises, even private cruises. We went on a really cool submarine ride with Atlantis Submarines Barbados during our first trip to Barbados, and saw two sea turtles on the night time cruise. I believe that they're even more common to see during the daylight cruise. Either way, it was an amazing experience that I highly recommend! 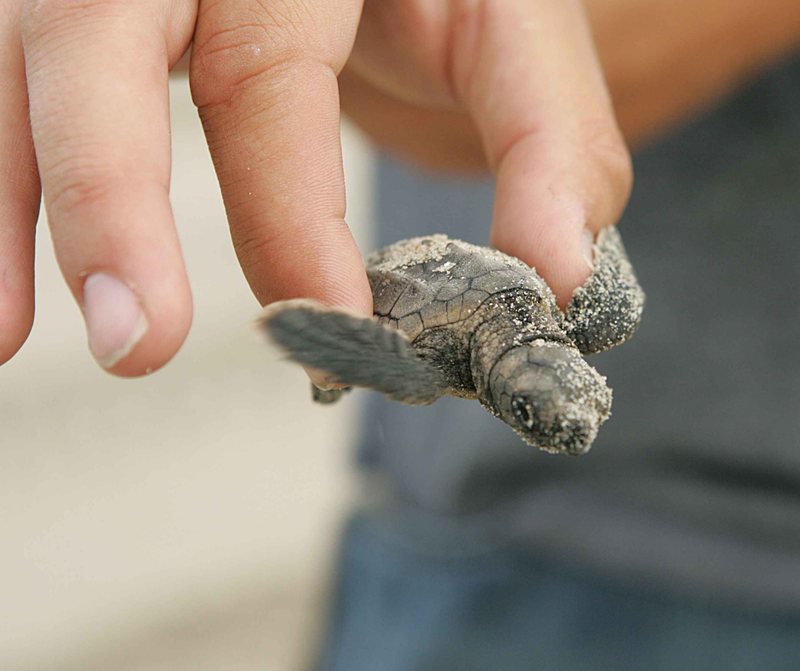 Follow Barbados Sea Turtle Project on Facebook for the possible chance to attend a release of hatchlings! They do great conservation work, and I love following them and learning about them. There has never been a release open to the public when I've been on the island, but SOMEDAY, I hope to get to attend one. On a Friday night, head over to the famous Oistins fish fry. Grab some delicious fish as fresh as can be, and make sure to venture down the pier. You'll see workers feeding discarded fish guts to sea turtles off the dock, and you can watch them eat happily. If you stop by De Red Snapper, tell Althea I said Hi! She'll probably remember me as the mom of the little guy she held and comforted after he threw up. Both of these have been traditionally considered by various cultures to be lucky or fertility-boosting, and now we know that they are packed FULL of all kinds of good nutrients for moms and babies! I always (ALWAYS) recommend packing as much snack food as possible for couples going to Barbados for IVF because of the astronomical prices of food there, and packets of nuts and trailmix are one of my favorite things to suggest because low carb and high protein is recommended to prevent OHSS. So do some double duty and pack some mixed nuts that include Brazil nuts or hazelnuts. And maybe a jar of Nutella ;-) It's health food in this case, you know. Barbados Fertility Centre patients have our own little superstition/tradition involving sea glass. Sea glass is broken pieces of glass that are tumbled in the sea and sand until they're smooth and frosted. I love the metaphor of how the process of creating sea glass is so much like infertility... you can check out my video about it above. 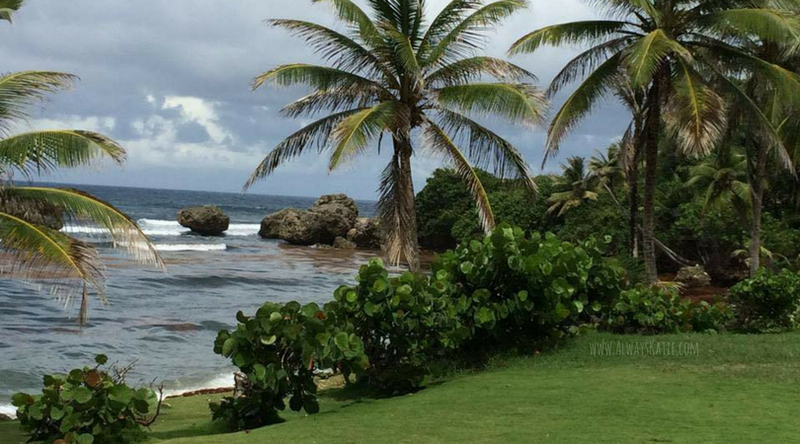 Bathsheba is my favorite place to hunt for sea glass, but there are several other beaches where it can be found! I recommend going to a beach on the east coast and enjoying a relaxing day of leisurely beachcombing as a way to unwind and distract your mind from the IVF stress, and then hang on to your beautiful treasures as a reminder that sometimes beautiful results come from trials. 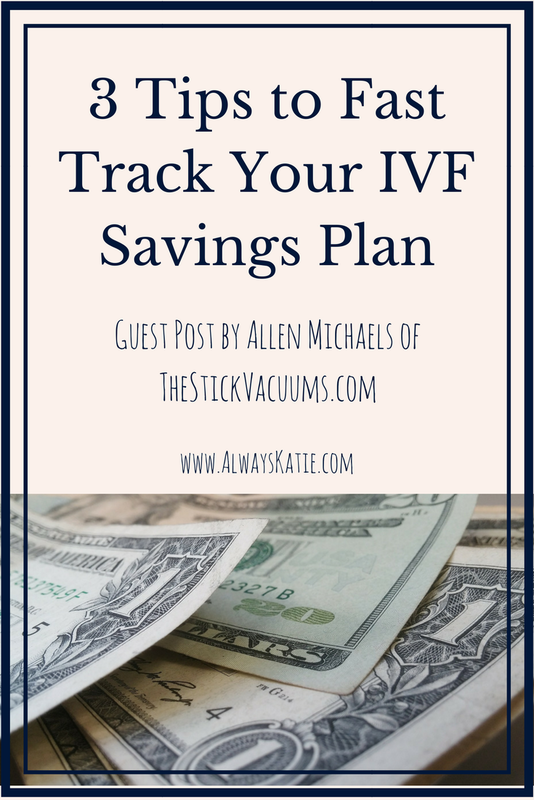 What are some other IVF traditions or superstitions I missed? 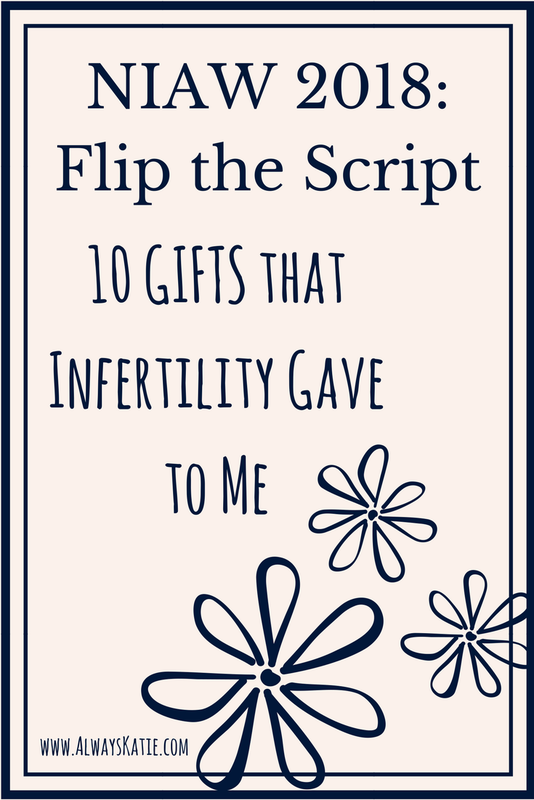 I'll try to figure out how you can incorporate those while you're away from home for IVF, too! That's why I always suggest at least one fancy dinner, some sunsets, whatever floats your romantic boat. First and foremost, before infertility, before babies, you're a couple in love. It's important to remember this, and not lose sight of that fact as you work toward your goal of adding to your family. I've seen it happen too often - infertility can break the couple who doesn't deliberately nurture their relationship. I love the idea of a romantic couple's photo session to capture the love and strength and hope you're feeling as you pursue treatments. How special to look back on that time and see those things reflected in the photos! If you're bringing hopeful big siblings with you, it would be special to capture your family as it looks right then, too, before a new baby is added. 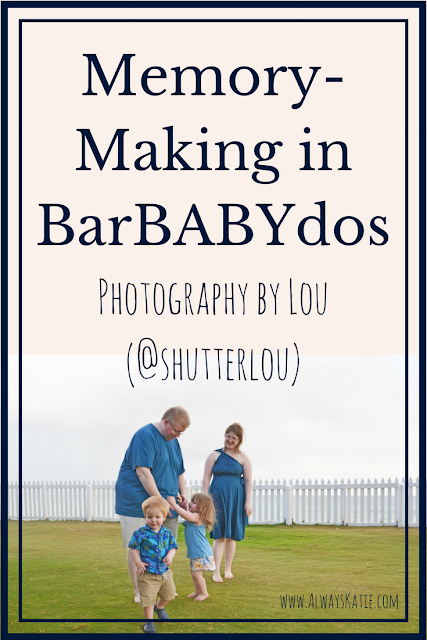 If you're interested in professional photos while you're in Barbados, the photos in this post were taken by Photography by Lou. We had such a great time with Lisa! Not only was she super-flexible when the kids freaked out about the ocean when we tried to take beach pictures, she was so patient and creative in getting great pictures, despite my kids' being tired and uncooperative (and on the verge of getting sick). I wish the kids had been in better moods, because I would have loved to have Lisa get some individual pictures of me for blog use :-) Check out her body of work on Instagram to see what I mean - she has such a talent for taking pictures that showcase a woman's power and strength. We'll definitely have to schedule with her again next time we're in Barbados! One of the interesting challenges when traveling is how to navigate the locale. 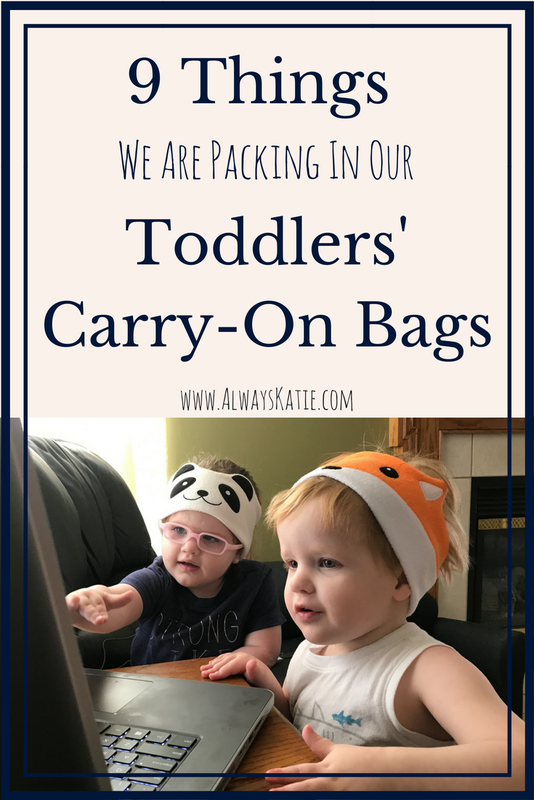 Especially for destinations that are at least a flight away, getting around is going to require a little more creativity than hopping in the family car. Barbados is small, just 21 miles by 14 miles, so the whole island is really accessible for exploration. While you're there, it would be a shame to not take in as much of the beautiful country as you can! Fortunately, there are several options available and you should be able to find ways of getting around that fit with your needs and comfort zone. This was our favorite way of getting around on our first two trips to Barbados. We have a favorite driver and his phone number programmed into our phones. 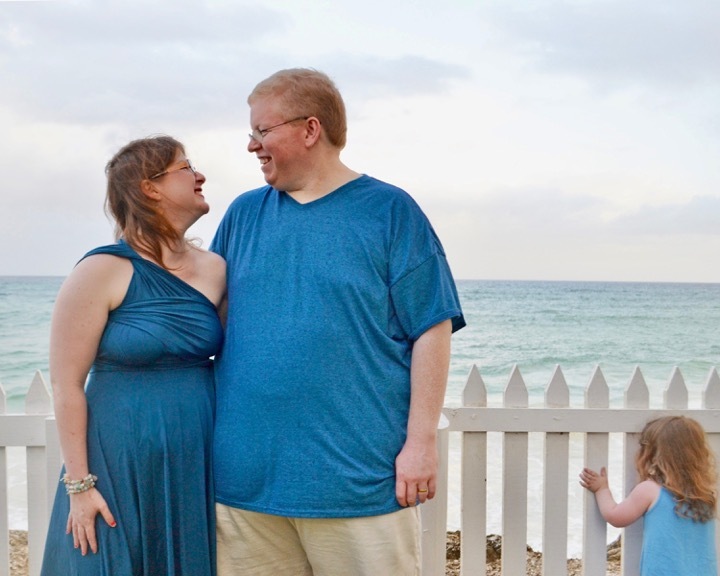 We'd still walk to most of our appointments at the clinic, but he helped us get home after procedures, drove us to the grocery store and came back to pick us up, and even took us on a lovely tour of the island as he drove us to Bathsheba on the east coast. Taxi prices are pretty reasonable, really. Our trip to Bathsheba cost around $75 USD, which is comparable to the organized tours, but with personal attention and conversation with a delightful guide! Taxis in Barbados do not run meters; instead, they charge a flat rate. You should always establish the rate before you enter the car. As in many cases in Barbados, you can pay in USD or BDS, but your change will be in BDS. The exchange rate is an easy 1 US dollar to 2 Barbadian dollars, which makes this casual mixing of currencies possible, and so so convenient! Buses in Barbados are plentiful and very cost-effective! Rides cost $2 (Barbados) per person, per ride - no matter how far you ride. I didn't know anything about the buses when we were in Barbados in 2014, and I wasn't quite up for attempting them with two toddlers this trip, so I still have never ridden one. You can learn more about buses in Barbados from Barbados.org. If you are the adventurous sort (I am NOT), you can always rent a car or a scooter. The catch? If you're an American, you're going to need to learn real quick how to drive on the "wrong" side of the car and the "wrong" side of the street! Bajan traffic is a little more aggressive than American traffic, but much more orderly and polite than we saw in France and Italy. So if you're feeling brave, go for it! On the subject of renting, if you are bringing older siblings along on your trip to conceive younger siblings, you are probably going to need to rent a car seat! BabyaGoGo rents a huge range of baby and child necessities - from car seats and strollers to cribs and even play equipment! We brought our own stroller because of needing it in the airport, but the ability to rent two car seats very inexpensively rather than dealing with checking them and all that was SO wonderful! BabyaGoGo even provides complimentary drop-off and pick-up to and from your hotel, or they and the clinic can help you arrange to have the driver who picks you up from the airport have your car seats already on board, saving you some hassle and worry :-) The car seats we borrowed from them were very nice Britax models, in fantastic shape. You can learn more about their services from their website, and send them an email to check availability and get a quote! 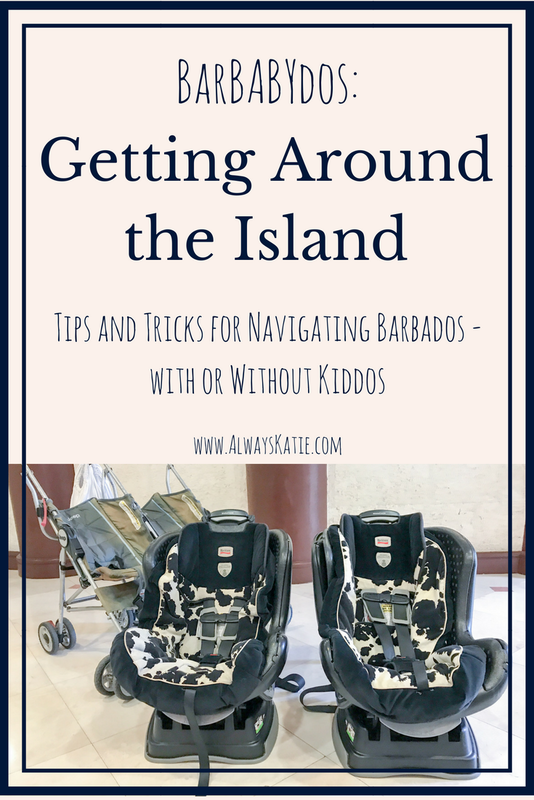 I hope this helps you feel more prepared to find your way around Barbados! Your best bet depends a lot on where you stay and where your comfort zone is, but there are definitely options that are great for every traveler. If you have any questions, shoot me an email! If I don't know the answer, I'm glad to help connect you with someone who does. One of the resorts that we will be staying at in Barbados in June is Bougainvillea. While I was reading up on the property, I found this information about an organization they are affiliated with, Pack for a Purpose. I have been our church's coordinator for Operation Christmas Child for the past few years, and this initiative reminds me of that outreach. They ask visitors to the island to save some room in their luggage for school supplies for economically or physically disadvantaged students, and provide a list of most-needed items. Barbados is the most developed country in the Caribbean, but there is still significant poverty. We experienced first-hand how expensive imported goods can be on the island, and nearly everything has to be imported. 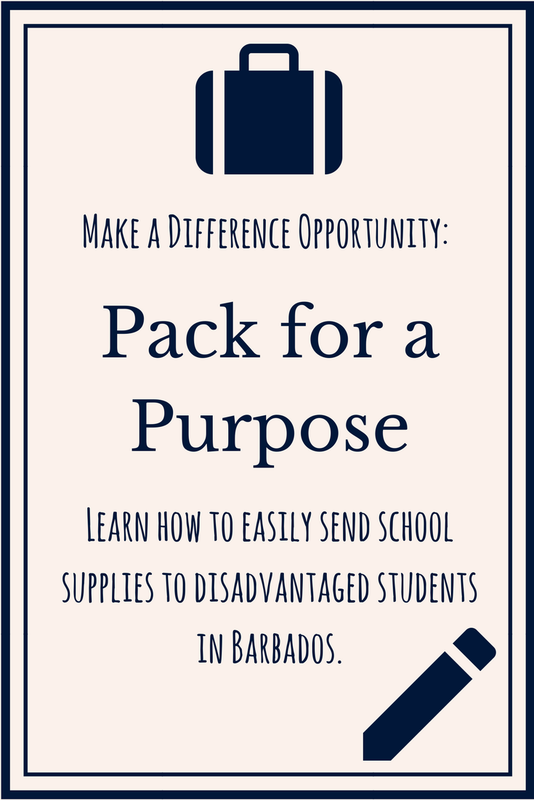 So school supplies that we take for granted here are much-needed in Barbados. Ethan and I will be packing some things to take with us to donate at Bougainvillea, and wanted to offer to deliver items for my readers, too. Local friends and family can drop supplies off at our house (or church or wherever else you see us). Far-flung friends and family, if you want to bargain shop locally, can email me for our shipping address. I've also made an Amazon wishlist with some of the most-needed supplies that can be shipped straight to us if purchased from the list. 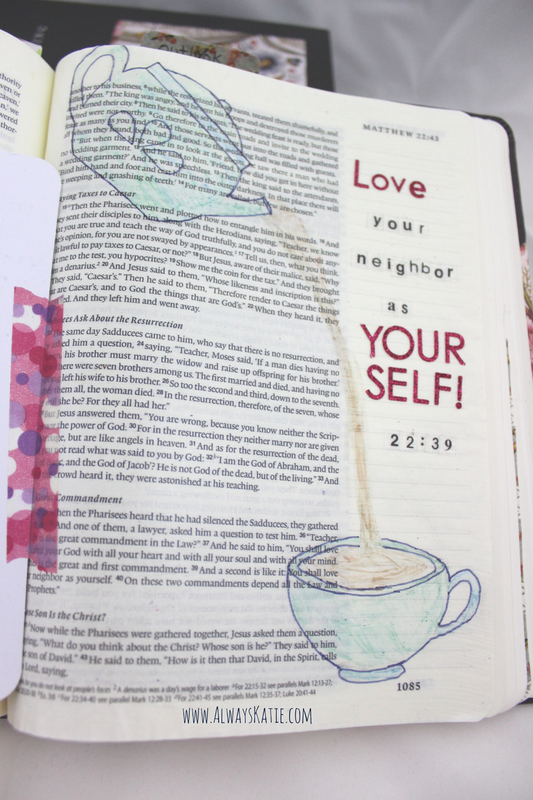 For those shopping in person, so many of these items can be found inexpensively at dollar stores or Walmart! I need to have items in-hand by June 1, 2018 so that we can get it all packed up. Anything that arrives to us later than that - or that we can't squeeze into our luggage - will be packed into Operation Christmas Child boxes at my church this winter. I love that Bougainvillea is involved in this organization, and I'm excited about this opportunity to give back a little bit to the island that has given so much to us! 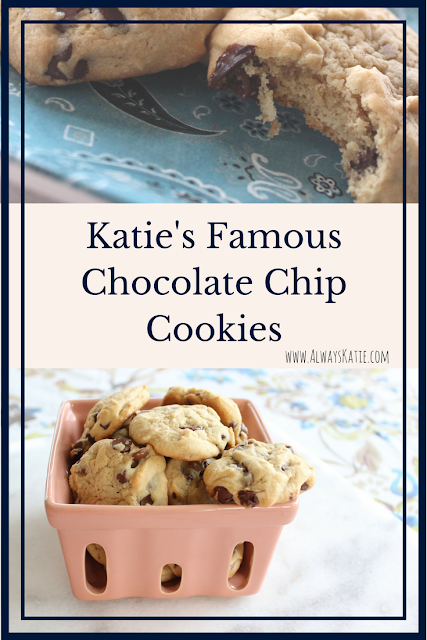 I love a slightly puffy cookie with lots and lots of chips, so I combined and tweaked recipes I found online and on chocolate chip packages and finally came up with a winner. 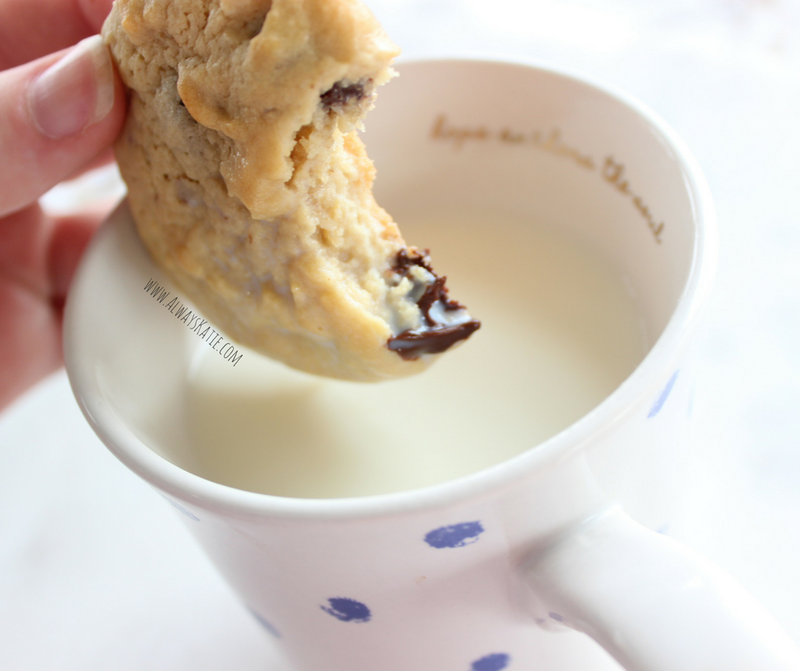 These cookies have a bit of a cult following in my area, and I love to make them to go with new mom meals, or for other folks who need a pick-me-up. They whip up quickly and easily, with a minimum of dishes, and are a real crowd-pleaser. They're great anytime, but if you can deliver or eat them still warm and gooey from the oven, you will NOT regret it! Add flour, cornstarch, baking soda, baking powder, and salt, and mix until the dough is smooth. Scrape down the sides if you need to in order to get everything incorporated. Gradually add the chips. It's a lot of chips for the amount of dough, so your mixer may struggle if you add them all at once. :-) But the more, the merrier, right?! Enjoy!! If you make these and happen to Instagram them, tag me (@always_katie) and let me know how you like them! 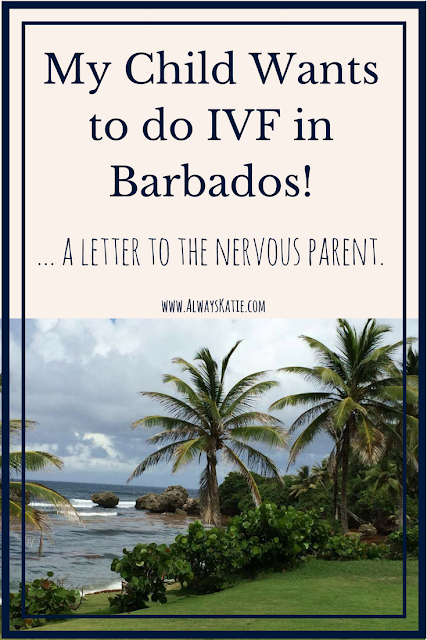 My Child Wants to do IVF in Barbados! So your son or daughter just told you that they are considering going to Barbados for IVF treatment, and there's a pit in your stomach. You've decided to scour the internet and figure out how to convince your children that they need to abandon this plan, and this research has brought you here. I understand your concern. My husband and I did similar research almost four years ago (back in 2014), and I'm now a mom myself. I can think of several reasons why this decision would make a parent nervous. Please allow me the opportunity to respectfully try to calm some of those fears. Barbados is the most developed country in the Caribbean, and the crime rate is low. The citizens - especially near tourist areas like the one in which the clinic is located - are warm and friendly, and everybody speaks English with easy-to-understand accents. The same advice for traveling to any foreign country (or, let's face it, anywhere in the US, too) applies... keep a close eye on your belongings, stick to populated areas, make good choices... but Barbados is absolutely a safe country to visit. 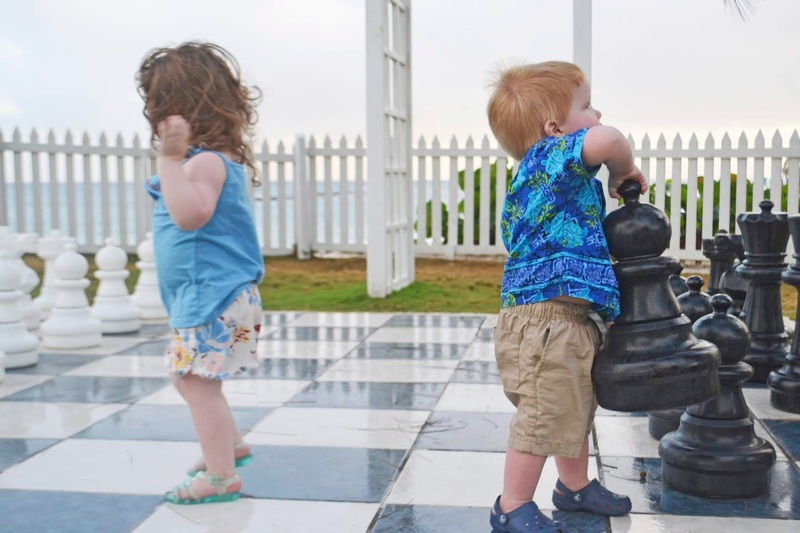 One of Barbados's nicknames is "Little England," because it is one of the most popular vacation destinations for British people, and several famous people have homes there. Simon Cowell is a pretty tough critic, and it gets the thumbs-up from him! "But are those doctors even 'REAL' doctors?" Dr. Skinner, the medical director and one of the founders, was educated in Ireland, at the famous and prestigious Trinity College. IVF was created in the UK, so her training comes from right by the source! Medical advancements and extremely high-caliber medical training can happen outside the US, I promise. Dr. Skinner has published research in respected medical journals - my husband and I found her articles while we were researching the clinic - and is a world-renowned expert in artificial reproductive technology. Practicing in her beautiful native Barbados only enhances her practice, it does not detract from it. Dr. Corona is a breathtakingly accomplished doctor who speaks several languages and has studied and worked in more places than I can wrap my brain around! While I have not yet been fortunate enough to meet her in person, I am in awe of her background and have heard wonderful things about her from fellow patients. As a chronically ill woman, I have had dozens of doctors. Many of them well-respected and at the top of their fields. I've maybe met one or two whose education and experience rival this team's, but to be frank, their bedside manner was NOWHERE near as great as what I experienced from Dr. Skinner and have heard about regarding Dr. Corona. This doctor duo is educated, accomplished, and genuinely kind, in a combination and to a degree that is truly rare. Your adult children could not be in better hands. "Foreign clinics aren't as clean or safe as American clinics." Barbados Fertility Centre has earned the prestigious Joint Commission International (JCI) gold seal accreditation continuously since 2007. JCI is an American agency, and accredited clinics must meet or exceed American standards for cleanliness, clinical outcomes, and infection and mortality rates. Every three years when they apply for renewal, BFC opens their doors to incredibly detailed inspection, and they work very hard to be above reproach. It is not an easy or a casual thing to earn JCI accreditation! "There's a perfectly fine clinic just down the road!" I'm sure it's a lovely clinic! However, in my experience, patients at American clinics often feel like numbers on a chart more than like people. Barbados Fertility Centre actively cares about their individual patients as whole people and as couples, and their patient-focused approach has resulted in astronomical success rates. Compare their success rates to the clinics near your child. I think you'll be surprised by how well BFC stacks up! BFC has a Life Wellness Centre upstairs from the medical clinic. The Centre offers services such as counseling sessions, nutrition counseling, massage, acupuncture, reflexology, and Reiki. This is part of the whole-person approach, where they strive to help their patients be at peak wellness in multiple facets of health. Cost is also a factor. IVF in the States can run from 2-5x as expensive as a full cycle in Barbados. I live in a relatively-inexpensive area for IVF, and by the time we paid for our flights, hotel, food, entertainment, medications, treatments, and spa services, we still saved a couple thousand dollars compared to what we would have spent on JUST treatment in Ohio. Plus, we got to do it in a beautiful, relaxing, distraction-free place. 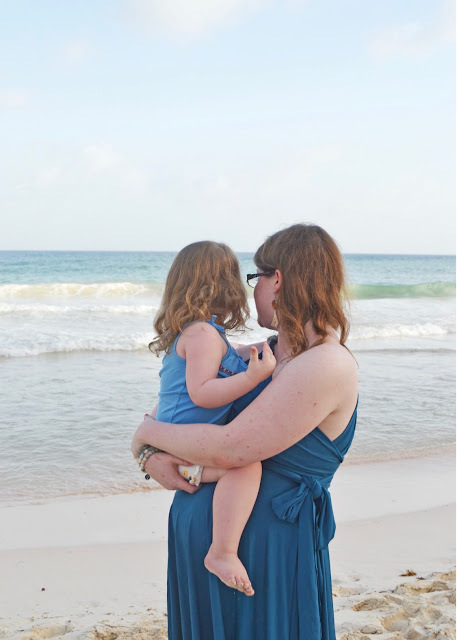 If your child and their spouse are considering IVF in Barbados, they are adults. They have no doubt researched this decision extensively. While they probably value your opinion, this is a decision they will have to make as a couple. At the end of the day, if that's the decision they have made, you need to try to trust that you raised them to make good decisions and that this is one of them. And if they have entrusted you with the details of their fertility struggles and treatment, they need your support and encouragement. You are about to become a grandparent, and that means your role in your adult child's life is shifting once again. This can be difficult for many parents, but it's a natural, healthy part of raising children. I hope that the information and links I have provided can help you come to peace with their choice. And I wish them (and you!) the very best of luck! If you (or your child) would like to email me with any other questions, my email address is alwayskatieblog@gmail.com and I am always happy to chat :-) You can also explore my "IVF in Barbados" tab at the top of my blog page to read more about my own IVF vacation in Barbados. 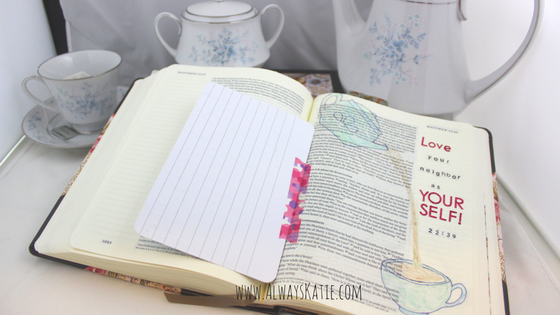 PS: Follow me on social media (links in my sidebar!) 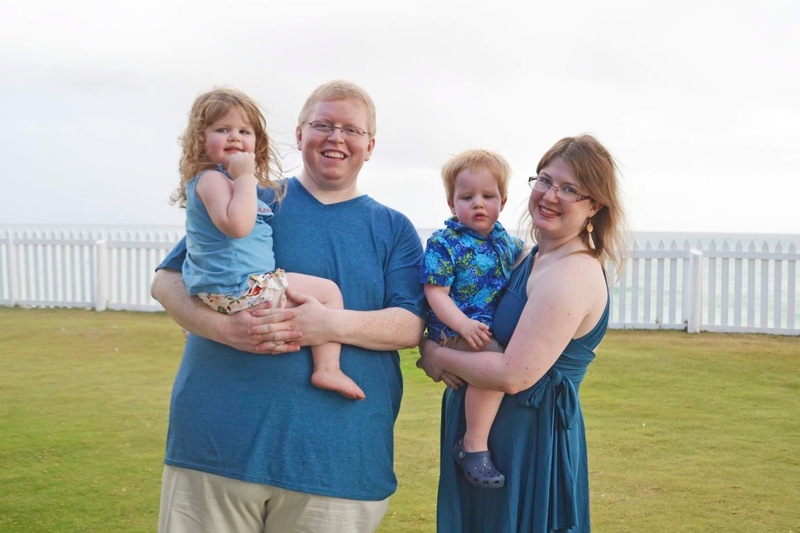 to follow my family's return to Barbados this summer! 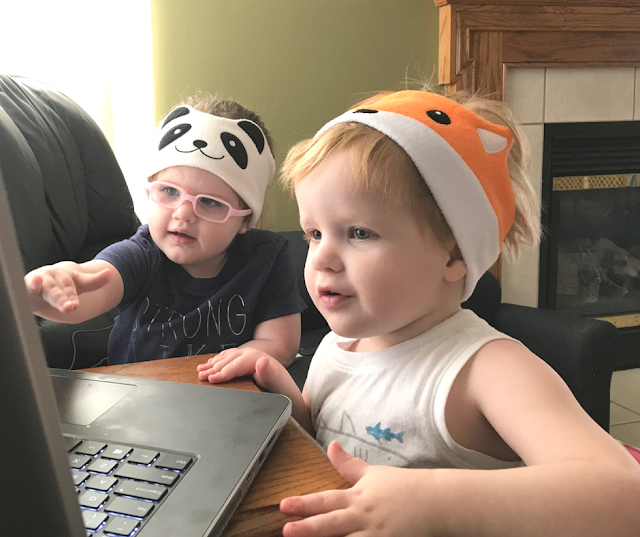 We'll be introducing our twins to the clinic staff who helped conceive them, and writing about lodging and attractions around the island!